Geek Review: Hasbro Marvel Legends Infinity Gauntlet + Giveaway! 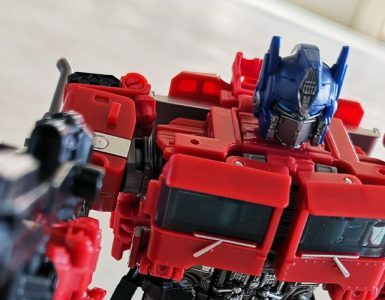 You’ve got to hand it to Hasbro – they finally know what high-end toy collectors want. It’s not bigger toys or more toys. It’s the toys that we can bring around, wear and probably put on display when the first two options are not available. 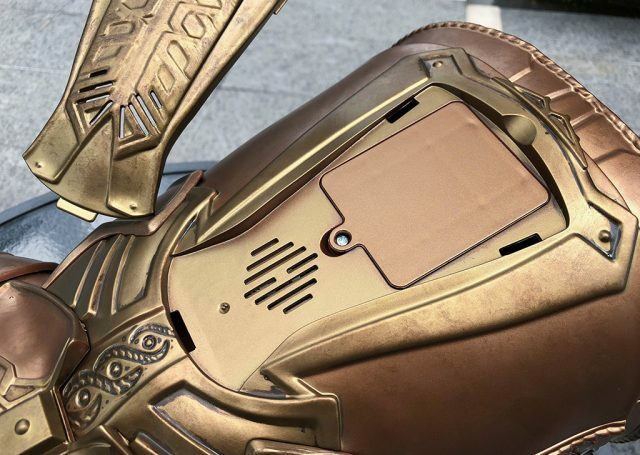 On the Star Wars front, there are the helmets, from the already released Stormtrooper, the upcoming Darth Vader and frankly, it’s going to take them a couple of years to cycle through every character’s headgear from that pocket of the galaxy. 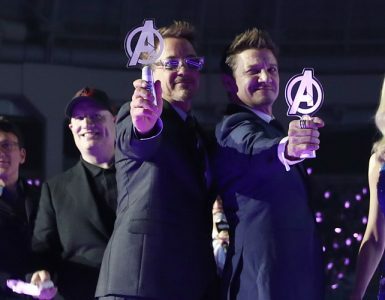 With Marvel Comics, the releases have been more iconic. 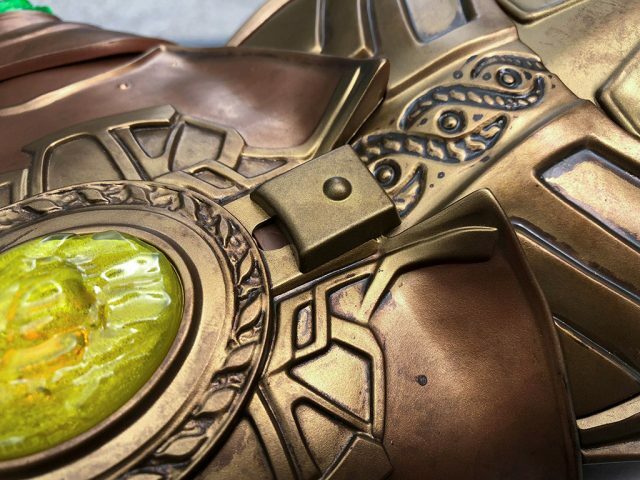 A hammer here, a shield there, and of course, a helmet to round things up. With the helmets though, there is no one size fits all, and some heads are too big for them. 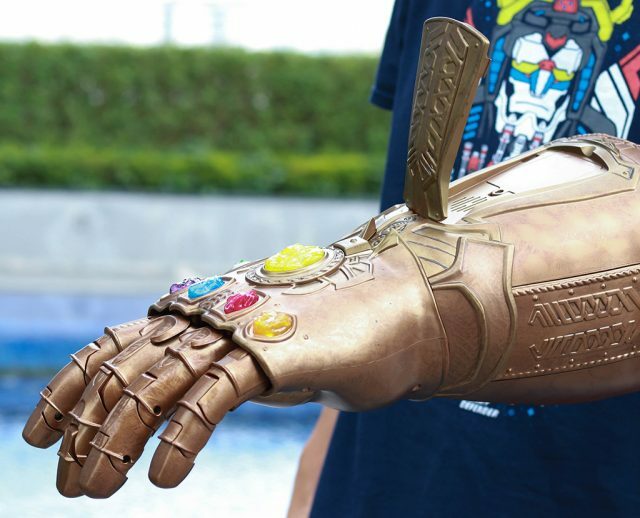 Hasbro’s latest replica though, fits like a glove. 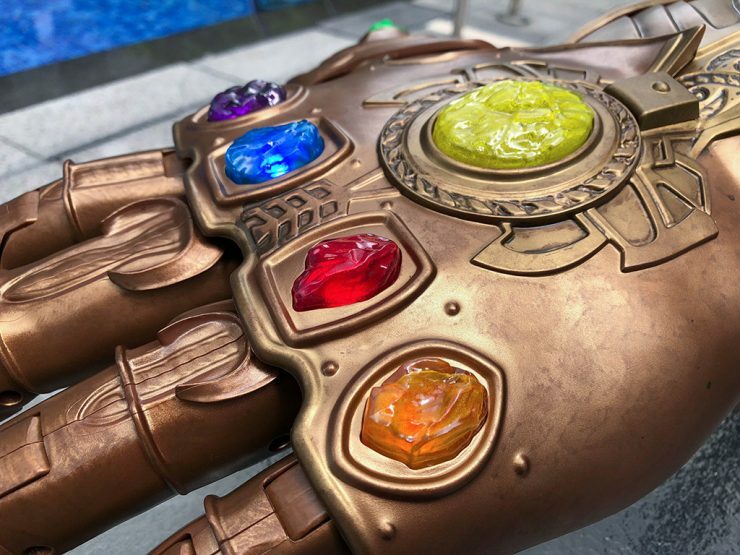 The MacGuffin of the upcoming Avengers: Infinity War film, the Infinity Gauntlet, complete with all six Infinity Stones, is what lead villain Thanos craves, as he tears through the current Marvel Cinematic Universe. 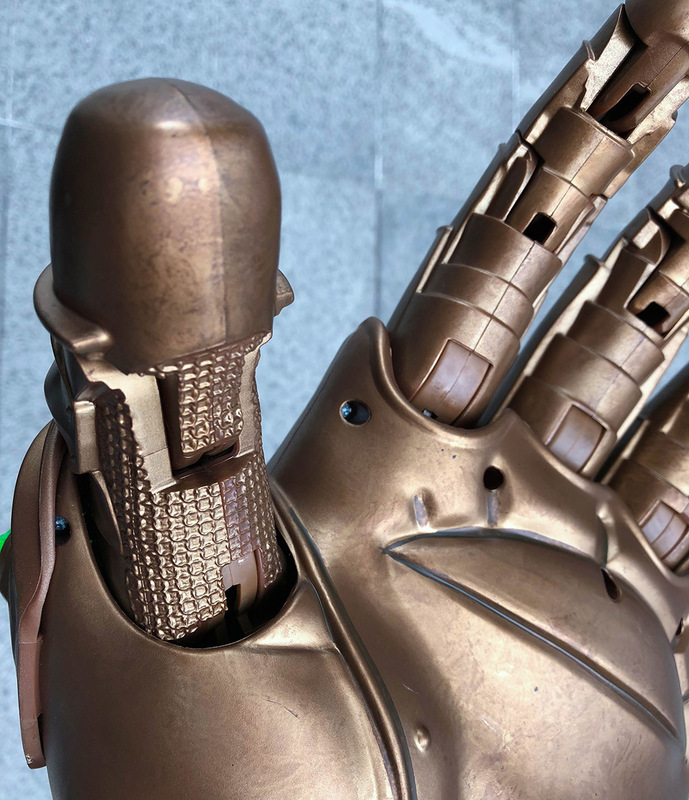 Audiences have seen the gauntlet, sans the stones, pop up in several movies, including a fake Gauntlet. 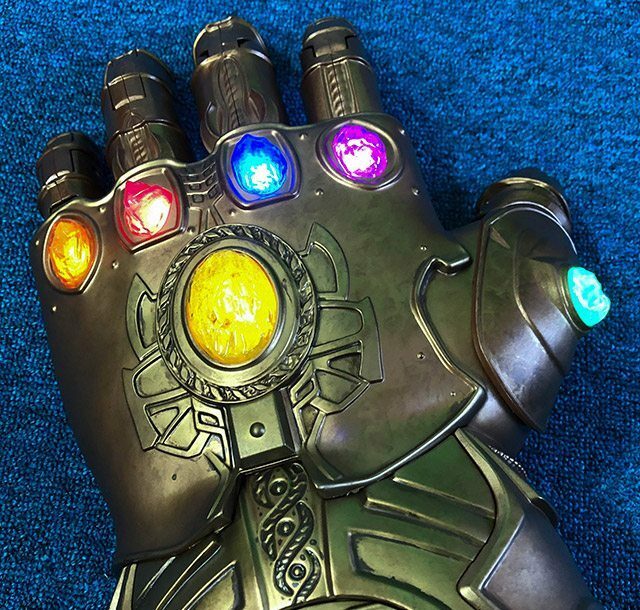 This one here is based on the real deal, meant for the left hand of Thanos. 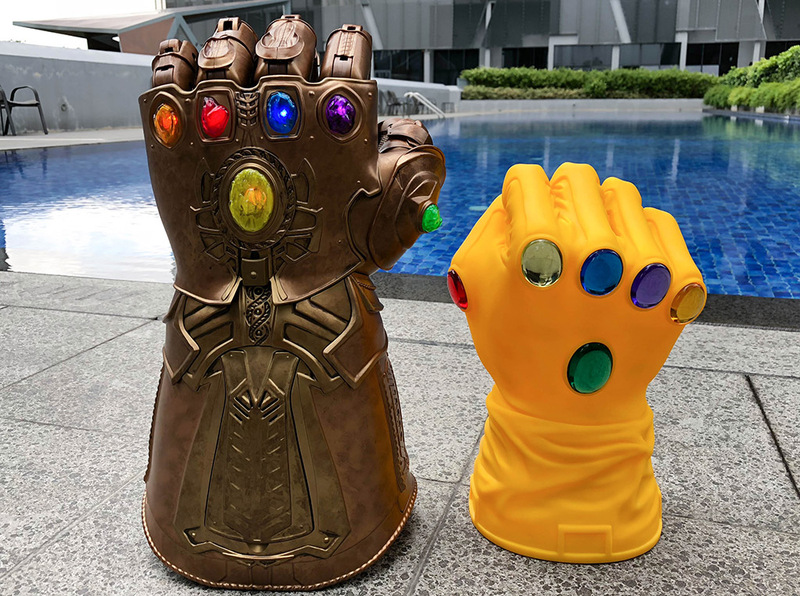 Now, because it is a 1:1 scale replica, this baby is huge – Thanos is a Hulk-sized giant after all and for anyone to comfortably wear it, well, you can’t. Instead, the armhole has a vertical grip for users to hold on to, so that they can still hold on to the glove with the hand extended downwards. Yes, the fingers are movable, but how does that work if there are no finger slots? 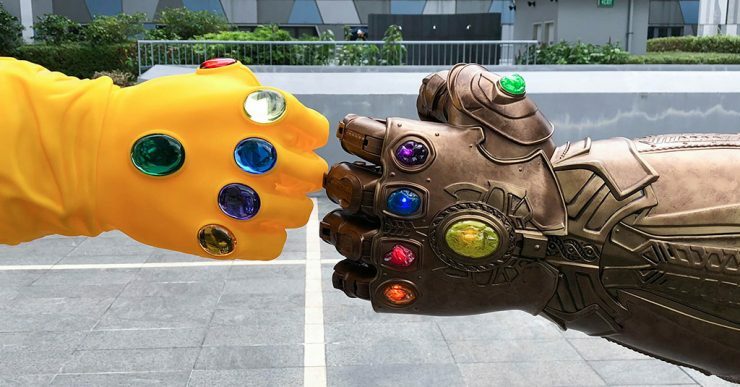 Each finger on the gauntlet is actually a mini pulley attached to a ring. Insert your finger into each of the five rings, and pulling on a ring will move the corresponding. 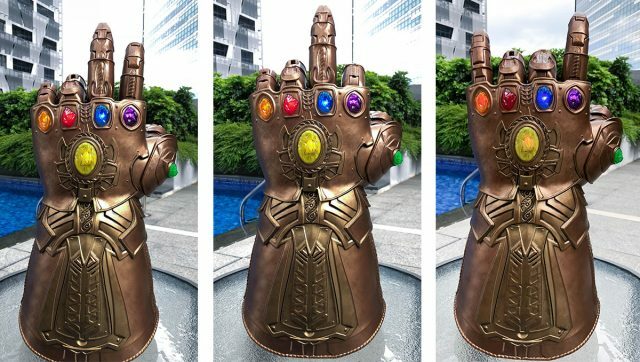 And because of this, you will probably see plenty of replica owners snap a photo with the middle finger extended, because they can. The finger motion is rather awkward though, and the motion is not as smooth. 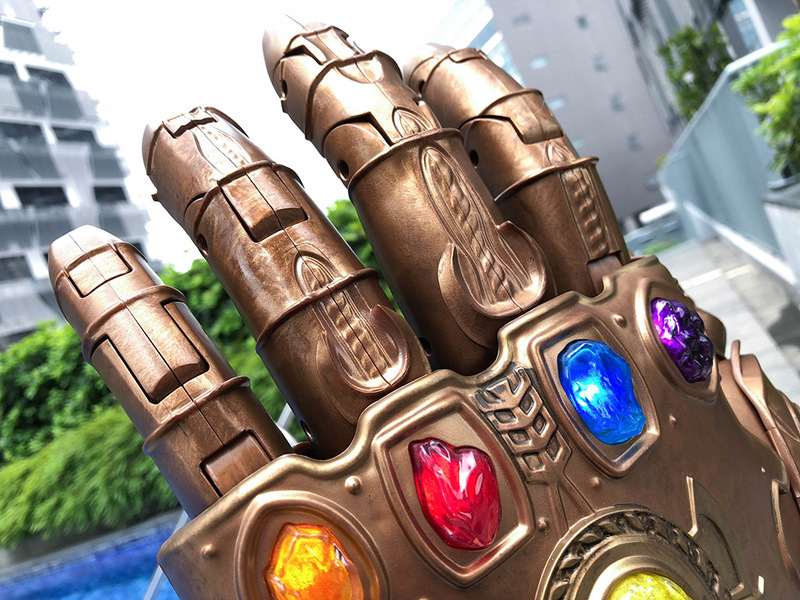 This also means that there is no grip on the Gauntlet, so it can’t really hold on to anything. 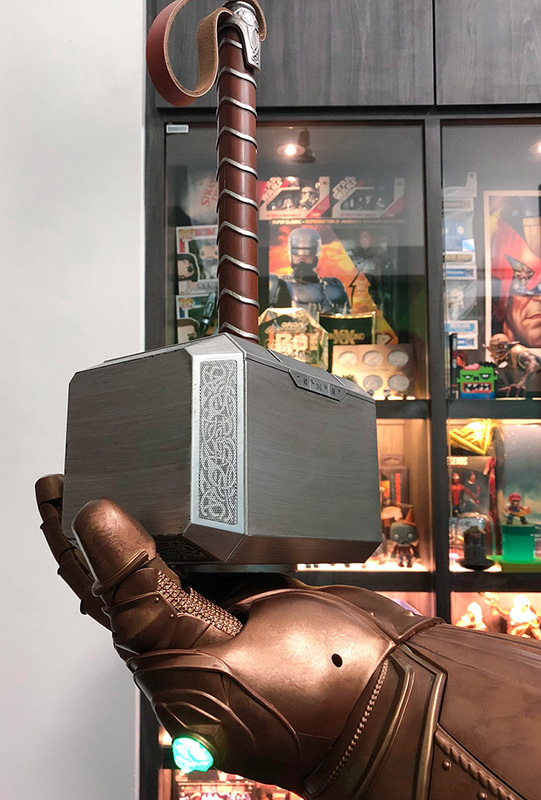 Not even Mjolnir. 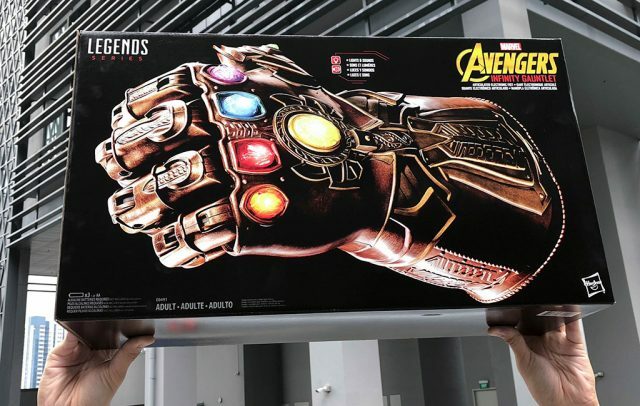 But no one is buying this for the glove. It’s what’s on it that matters. 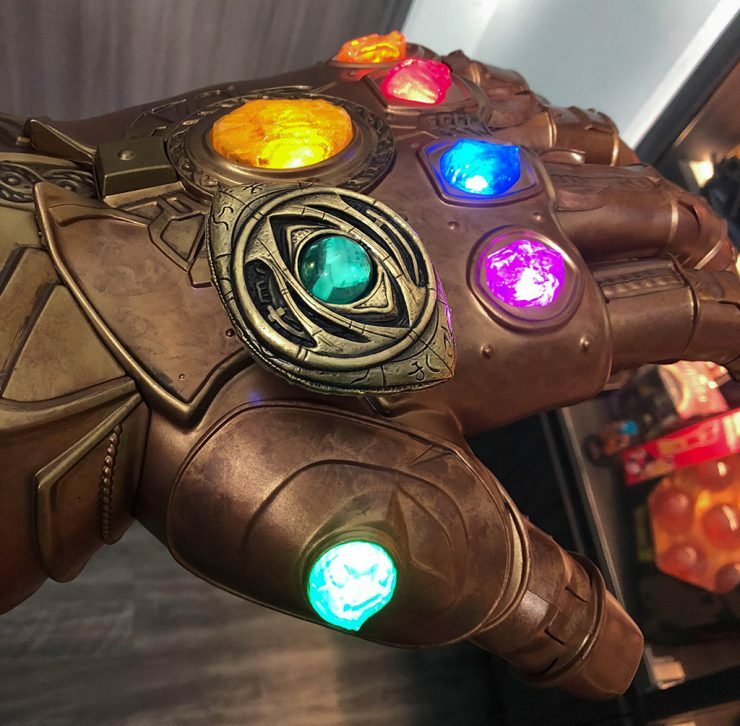 All six coloured “gems” have a light under it, and after inserting in 3 AA batteries, pressing the big yellow gem on the back of the Gauntlet will cause the gems to pulsate and light up. 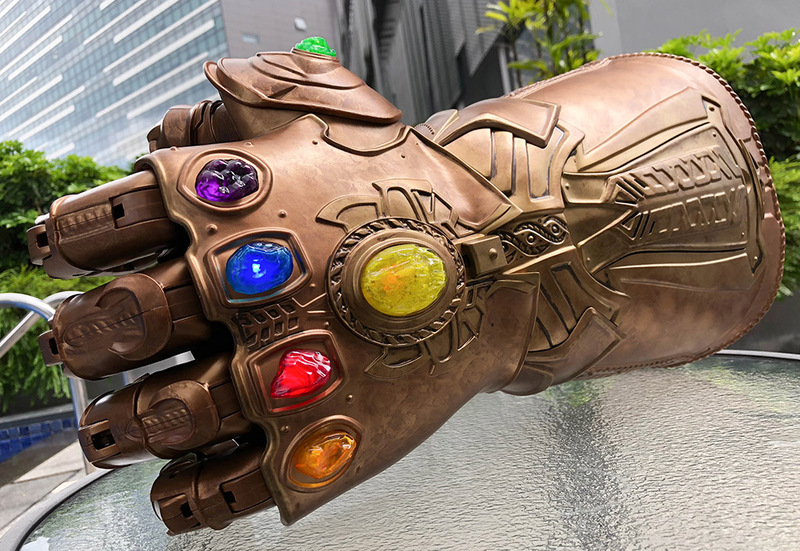 There are also some sound effects that can be triggered when the glove is not stationary, and it comes from a small speaker beside the battery compartment, located under a faceplate next to the yellow gem. The lighting effect brings out the majesty of the Gauntlet, and yes, you do feel the need to thinks of it as the “power” you wield in your hand when the gauntlet is lit up. The sound effects do get annoying after a while though, but there’s no way to stop them. There is no power off switch for the gauntlet, but it does auto-off after a minute of inactivity. 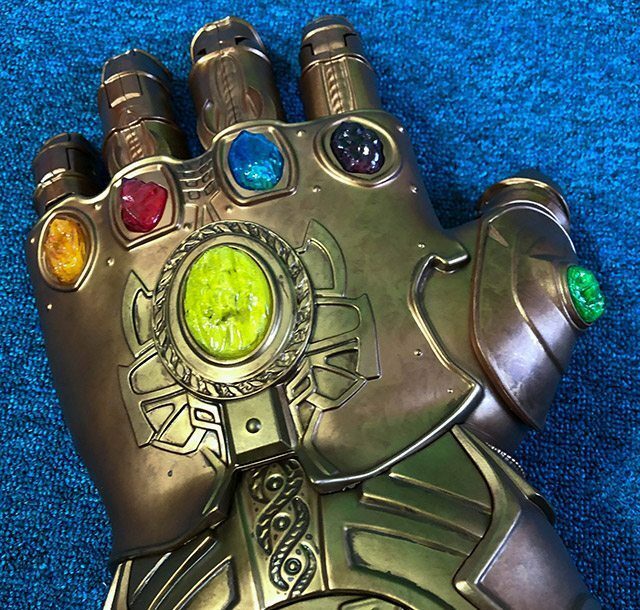 Right under the yellow “gem” is a lever and this is for those who want to display the Gauntlet, but not always with the fingers spread out. 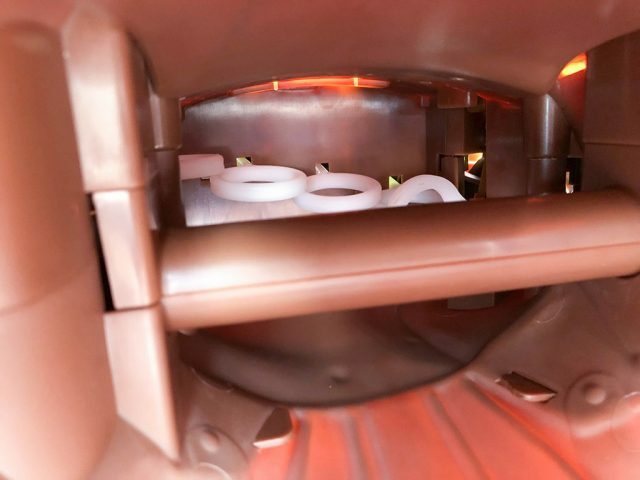 When you pull the rings, this lever locks the fingers in place, allowing owners the chance to form hand gestures. Want to do V for victory? The extended forefinger that says “Nuh-uh”? Or ILY in sign language? It’s probably the last thing that Thanos wants to show, but hey, the Gauntlet is your now, so do with it what you will. 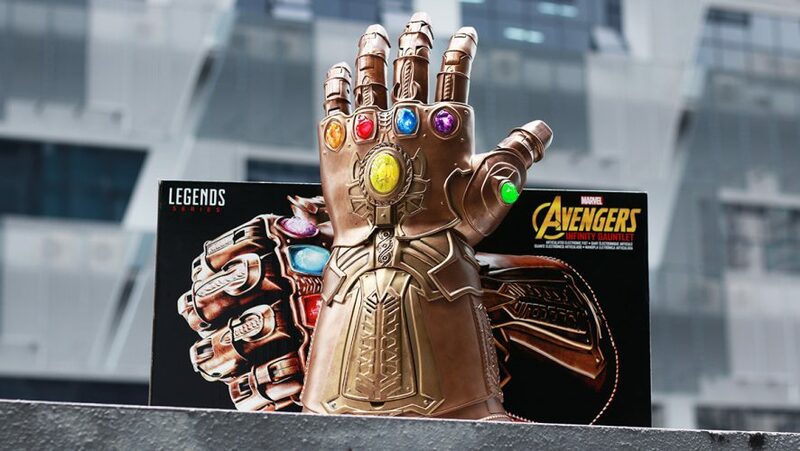 Hasbro’s Marvel Legends Infinity Gauntlet will be released in stores islandwide from March 3rd, 2018 and will retail for S$199. Every villain needs a cat sidekick. 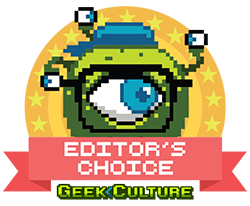 The giveaway is open to all participants WORLDWIDE (we even cover shipping!). The giveaway closes on 4 March 2018 @23:59hrs (GMT+8). 1 lucky winner with the correct answer will be picked at random. The winner will be notified via email by 6 March 2018. Good luck! 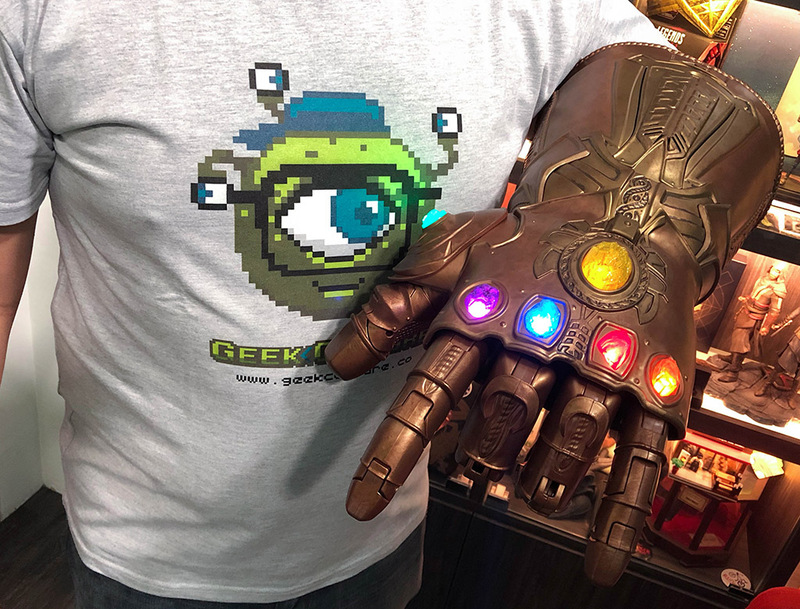 A tad on the heavy side, the Gauntlet will catch some eyeballs when used as a cosplayer’s accompanying accessory. It’s effect won’t be as grandiose as Captain America’s replica shield, or Mjolnir itself, but as one of the most powerful weapons in Marvel Comics, it punches above its weight. Geek Exclusive: Take To The Skies With Limited Edition Funko Pop Singapore Girl!